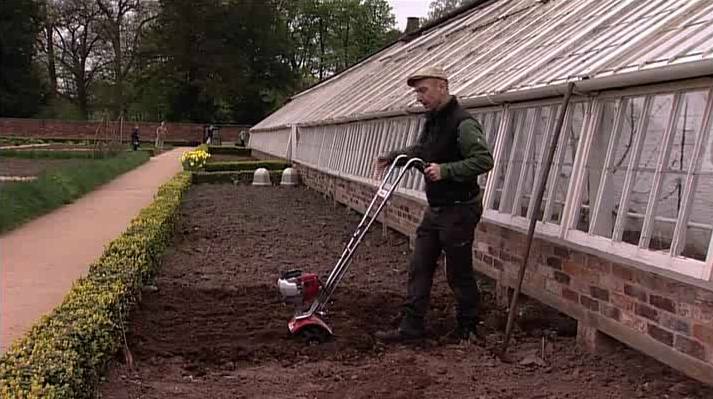 Following on from the video Onions from Seed in this one, Simon Tetlow, deputy head gardener at Tatton Park Gardens shows us how he prepares a bed for the onions. This bed would be suitable for planting out the onion seedlings or sets or, indeed, for direct sowing onion seed into the ground. Simon starts by adding a good later of well rotted manure to the soil which he then incorporates using a Mantis Tiller and creates a good tilth. Having raked and levelled the bed, being as it’s an onion bed and onions like a firm soil he firms the seed in with his spade. 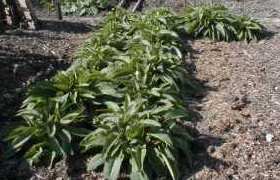 Another way of firming the ground for an onion bedwould be to do the heel and toe gardener’s shuffle up and down the bed using your body weight to firm up the soil. 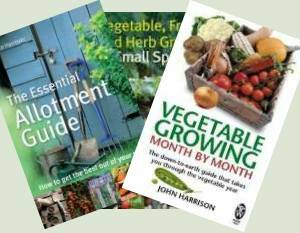 There are articles on the site that will help you grow better onions. Just been watching the Video of planting onions from seed, ground preparation etc, liked the tip on firming the soil after planting the Onion seed. Can I firm the ground before planting Onion Sets?